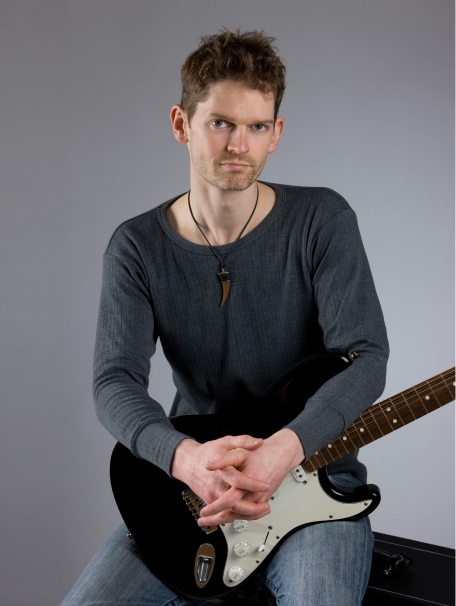 Stuart Bahn teaches guitar lessons at his home, just 2 miles from Chiswick. He teaches most styles of guitar playing in his lessons, from pop and rock through to jazz and classical guitar. 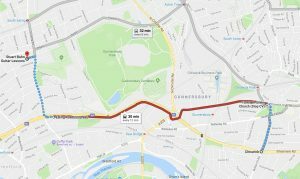 To travel from Chiswick to your guitar lesson with Stuart Bahn, there are several options including car, tube and buses. Guitar lessons with Stuart Bahn are taught at his home on Chandos Avenue, W5 4EP. Chandos Avenue is close to the North Circular (A406) and the A4. It is also close to South Ealing tube station and E3 and H91 bus stops. 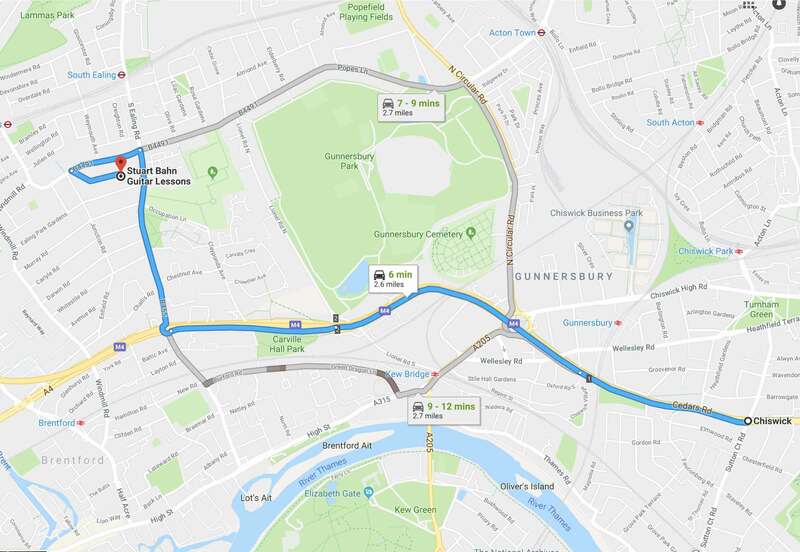 To get from Chiswick to your guitar lesson with Stuart Bahn, head to Chiswick Roundabout. Then take the A4 west followed by a right turn up South Ealing Road. Head north up South Ealing Road until you reach the crossroads. 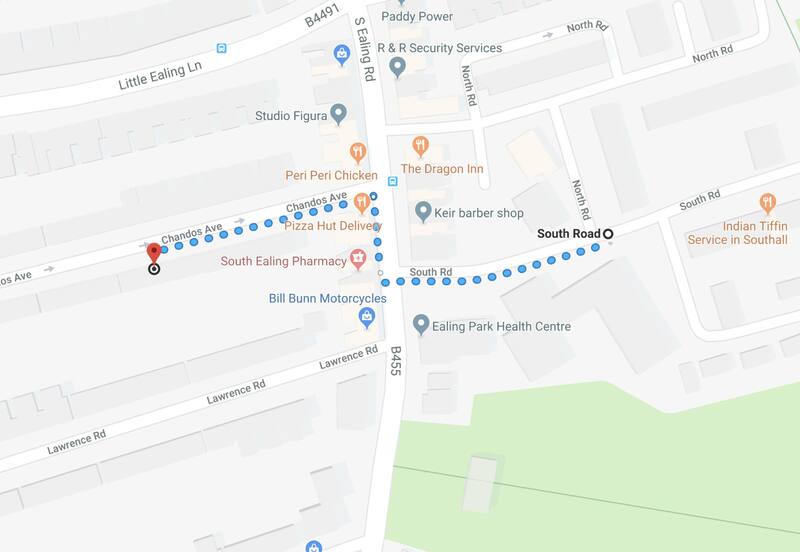 Then take a left down Little Ealing Lane, and then left again to go up Chandos Avenue. Parking on Chandos Avenue is free except during controlled parking times, which are Monday to Friday between 10-11am and 3-4pm. You can usually arrange your guitar lessons to avoid these periods. 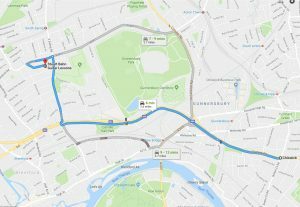 However, if you do need to park during these times, the nearest unrestricted parking area is South Road which is very close-by. See the map below. 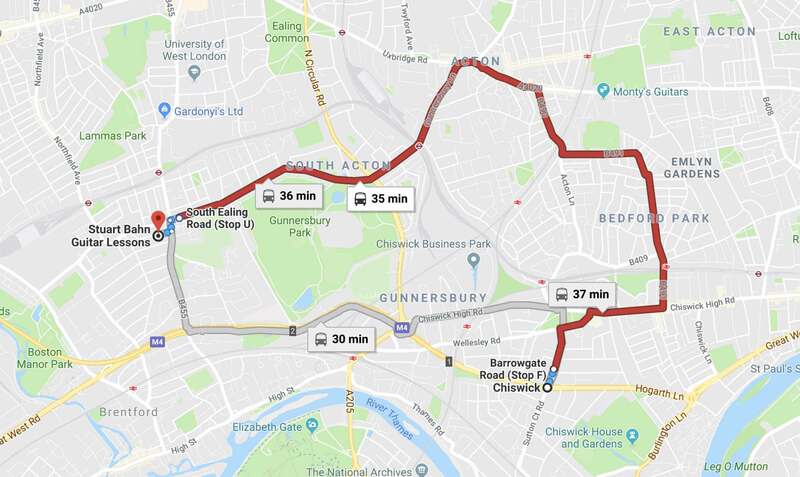 To get to your guitar lessons by bus from Chiswick you can choose one of two buses: E3 or H91. 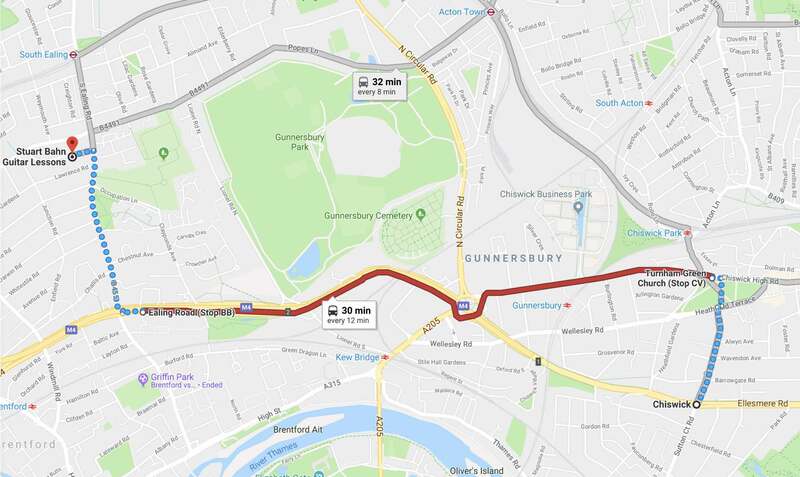 You can catch the E3 from Chiswick Town Hall (Stop YY), Chiswick High Road (Stop FF or II) or Turnham Green Station (Stop JJ). The bus journey is approximately 30 minutes. Alight on Popes Lane (Stop U), and it’s a very short walk to Chandos Avenue. You can catch the H91 from Chiswick High Road to your guitar lessons. The journey is about 10 minutes. 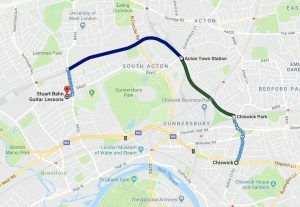 Alight at Ealing Road (Stop BB) and then it’s a short walk north to Chandos Avenue. The nearest tube station to your guitar lessons is South Ealing station (Piccadilly Line, Heathrow branch). To get to your guitar lesson from Chiswick using the tube, catch the District Line from Chiswick Park. 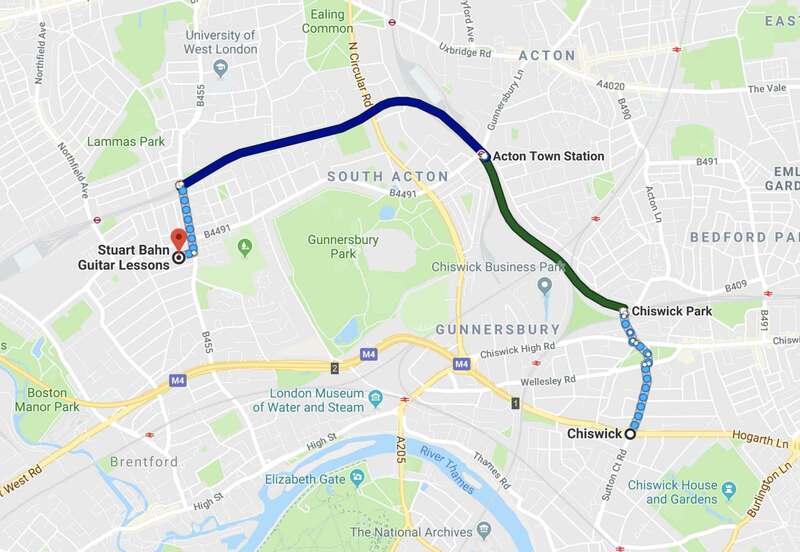 Travel one stop west to Acton Town and then change to the Piccadilly Line. 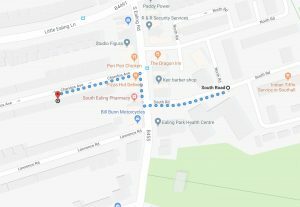 Travel one stop west and alight at South Ealing. 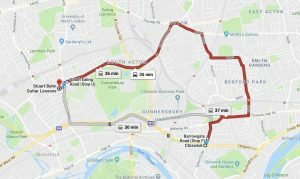 It’s then a 5-minute walk down South Ealing Road to Chandos Avenue.